Would you like to add your testimonial or photo? "The world has many guitars: many of them sound good, some of them sound really good, but only a few of them can transform music into pictures. And when I play my Herda's guitars, I fly off into heaven..."
"Picked up the guitar last night and just opened for the first impressions today. Arrived safe and sound. infinitely easier for me. This is everything I could have hoped for! Thank you for the work, this has been a very easy process even from the other side of the world." 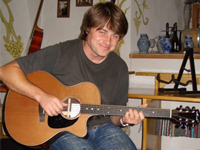 "Even in high school, Marek made a guitar for me which I still like to use these days... now, after Marek and Monika have returned from England and their experience in the production of guitars has risen to a highly professional level, I grabbed my chance and immediately let them build my dream instrument to my personal requirements. From the beginning I knew that my guitar needed to be made from the finest materials and hardware. Materials, unique hand-made quality, the precision and perfection of the builders and ultimately the sound, are crucial indicators for me. 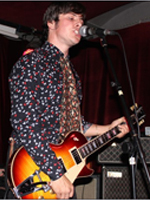 I have dealt with vintage instruments, accessories, apparatus and effects for several years. 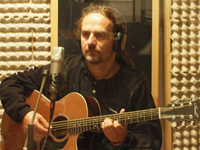 My guitar is made in accordance with the requirements and specifications for the vintage sound. I want say that my guitar is above the level of mass-produced guitars of prestigious brands. 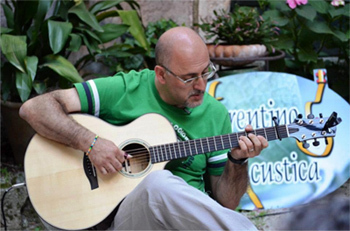 It is unique for me and thanks to the high-standard of quality and perfect craftmanship that the company offers, this instrument has fulfilled my dream of a cutting-edge guitar. " 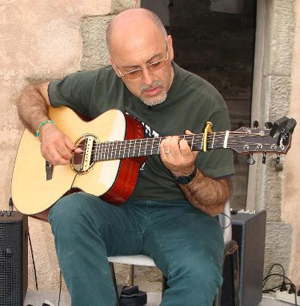 "I had a very good time, playing on Herda guitars. I was surprised especially by the high level of craftsmanship and fine detail, not usually seen on the new guitar brands . The Herda sound is definitely equal to proven brands. They maintain the quality of the sound even though their models range is very wide. Progressive bluegrass players, acoustic rock, finger-style and many other players would be pleased as well as music lovers. For example, a special model Herda OMG will be appreciated by the old-time sound lovers. It is also a very original guitar for jazz-swing compositions. Hats off, Herda guitars are a fantastic examples of human creativity and amazing skill! It was a pleasure. Best wishes." "I was lucky that I could try this Small Jumbo cutaway on Herda guitars presentation stand in Liptovsky Hradok. At first glance, it appeared to be a common jumbo, but at the second it was a guitar with precise hand-crafted details, beautiful woods, a balanced tone, a very nice and rich sound, and absolutely in tune. Playing on this Jumbo was a joy, especially due to its beautiful appearance (cedar + rosewood) and its easy and comfortable playability. I do not hesitate to say this guitar is as good as world's best guitar brands." 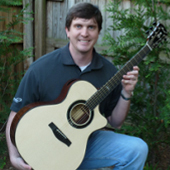 "Trying out a new Dreadnought model from Herda Instruments was for me a pleasant surprise. Precise workmanship, beautiful woods and an especially balanced and powerful sound played with complete ease, can convince very quickly even without words. "